It can be a bit of a challenge to find great coloring pages. Many of the ones being shared online are far from being in the public domain. I suspect folks are just scanning their own coloring books and putting the images online. I guess they’re hoping that the generic, cheapo coloring book they found at the Dollar Store doesn’t have a publisher who will sue them. 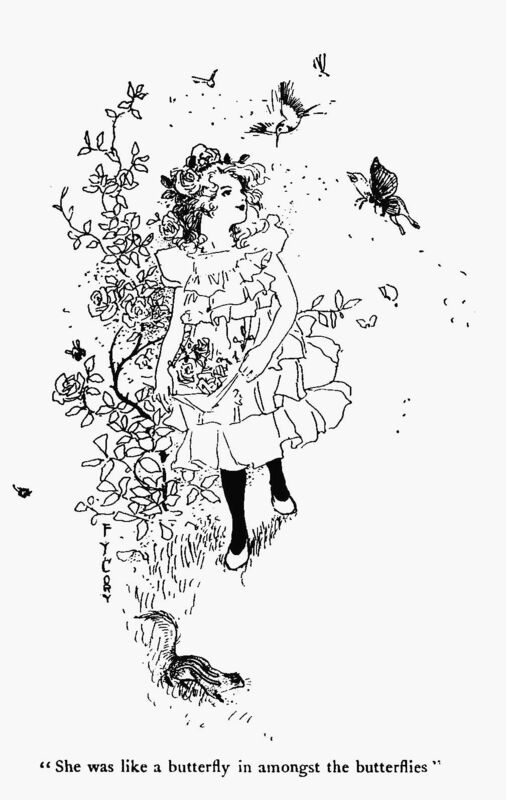 Additionally, many of the great vintage children’s books were designed for the children to color in the images. That means, the few that have survived the years are often painted, crayoned or otherwise colored in already. I can often find little bits and pieces of things that could be colorized to your liking but finding full or half-page images that would work for coloring is a challenge. OK, a lot of words to say that I wish I had more great coloring images to share with you. I did snag a pretty little vintage coloring book in my travels and hope to get the pages scanned in soon for you to enjoy. Until then, I do hope you enjoy the lovely coloring pages that I’ve found so far. 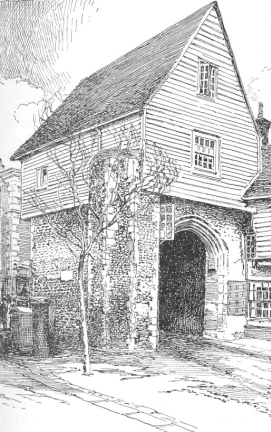 This English house coloring page is another of the wonderful book illustrations by Gordon Home (1878-1969). It is printable and copyright free in the USA . 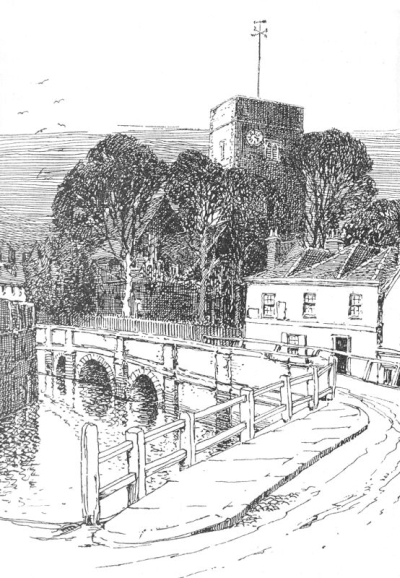 This vintage bridge coloring page was drawn by Gordon Home and appeared in a book about traveling through England. It is copyright free in the USA. 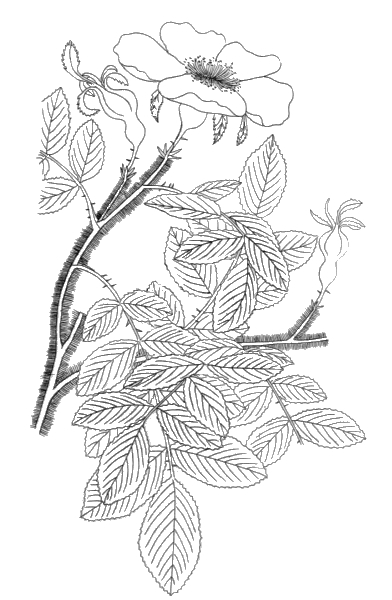 This rose coloring page represents the only drawing in the book but it offers a lot of options with plenty of leaves, a beautiful flower and even a rose hip. 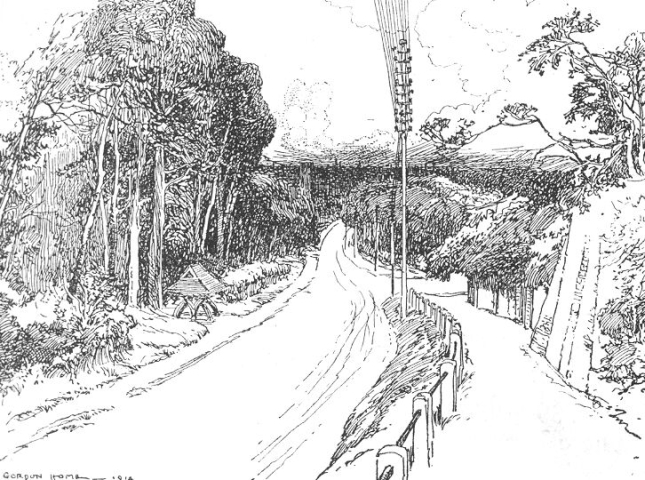 Free, vintage countryside coloring page of a tree-lined road leading to the mountains. (It reminds me of many of the country roads in our mountains.) It is resized to fit on a 4×6 inch postcard and ready for printing. 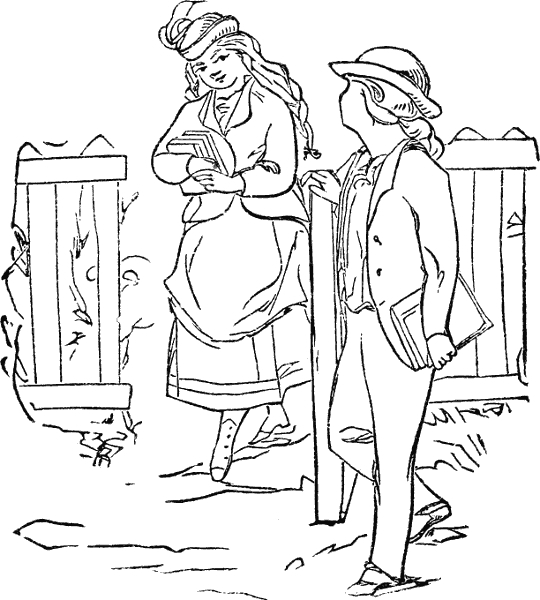 The Young Gentleman is a charming coloring page from a vintage book on overcoming bashfulness. It prints large enough to fill most of a page and offers plenty of detail for crafters and young crayon artists alike. 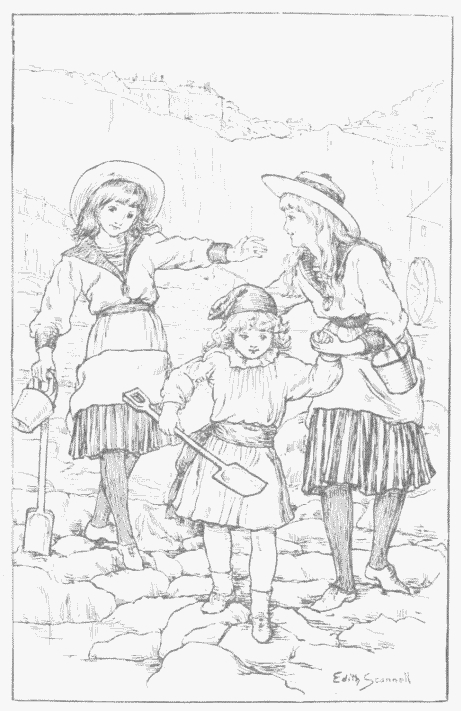 Visiting the Beach is a most charming printable coloring page of three little girls making their way across a rocky beach to the sand. 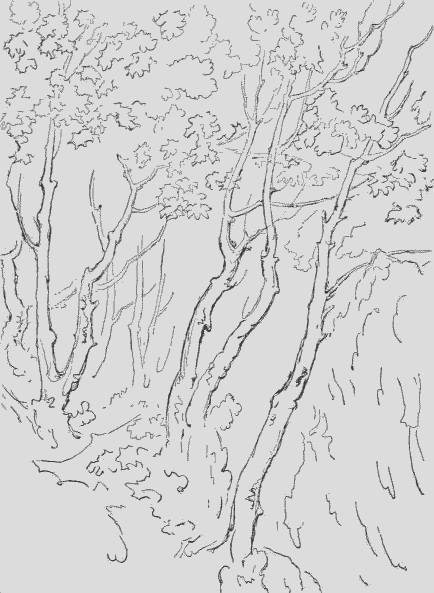 This vintage sketch used to teach drawing seems like a perfect coloring page of trees for new generations of aspiring artists learn from and enjoy. I did a search on Amazon for coloring pages to get you started. Maybe you'll find that little something that will transform your current creative project into something spectacular.